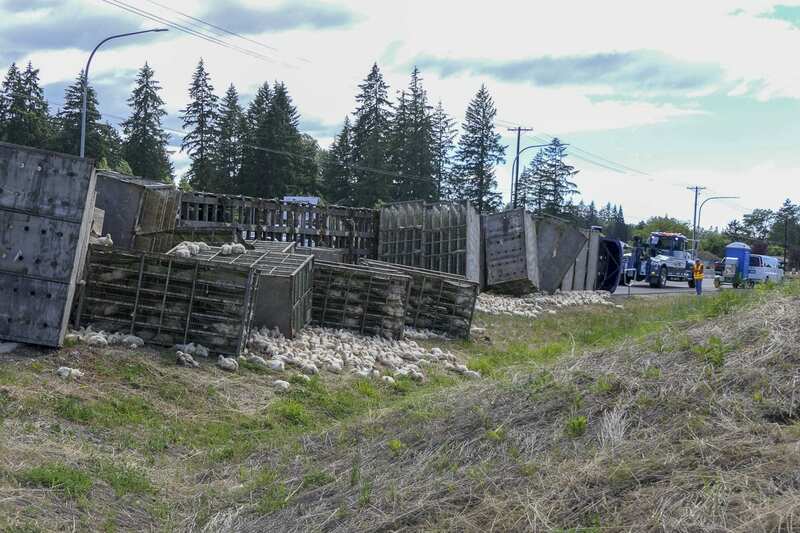 DOLLARS CORNER — It was a stinky, sad mess on SR-502 west of Battle Ground this afternoon, when a semi-truck carrying approximately 5,000 live chickens overturned. Washington State Patrol Trooper Will Finn says the truck was coming from a farm up the road, headed for the Foster Farms plant in Longview shortly after 3 p.m. when the accident happened. 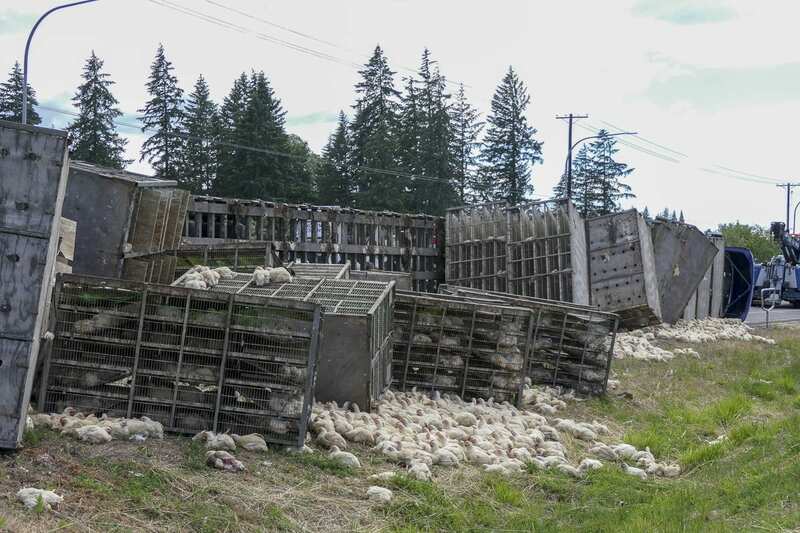 They got a call that chickens were running all over the highway shortly after the accident. There is a spot for commercial trucks to make a legal turn on SR-502 a few miles farther east. Finn says the driver was uninjured, and no other vehicles were involved. He was cited for the unlawful U-turn. 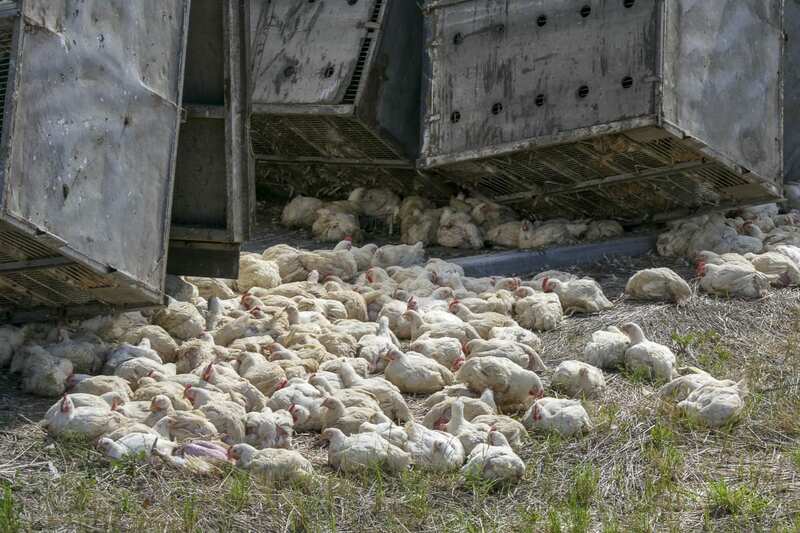 Other employees from Foster Farms and a local clean-up service were on hand to go through the chickens once the truck was righted, to separate the live ones from the ones that had died. 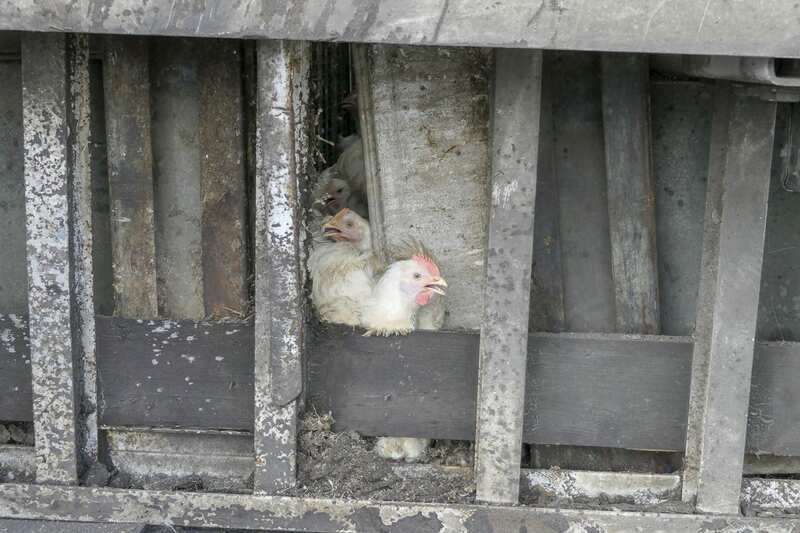 Another truck was on hand to take the live ones away. 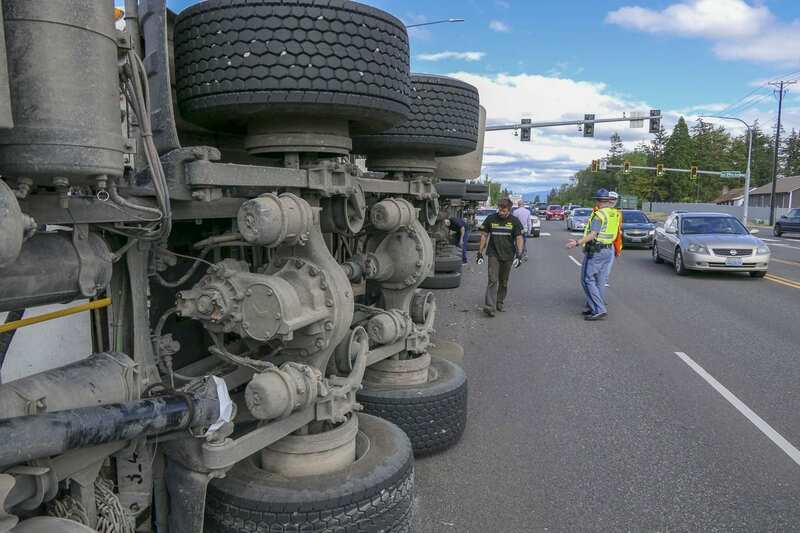 Traffic on SR-502 at NE 29th was briefly shut down for parts of the clean-up effort, leading to a backup during the afternoon rush hour. One other notable nugget, the lead investigator called to the scene? 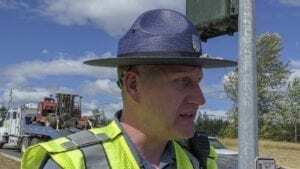 Trooper B.D. Chicks.